Pam is a recognized global leadership development and organizational effectiveness executive with extensive experience within Fortune 500, non-profit, healthcare and academic environments. Having served in several Vice President roles at Marriott International and the American Red Cross, she brings experience in defining and driving human resources strategies from conceptualization to implementation linking while leveraging her 5 years in brand management. Her experience ranges from aligning an expansive worldwide learning organization with business growth and profit goals to growing corporate culture to executive coaching for individuals and teams. Most recently, Pam established Crescendo, LLC, a consulting firm focused on ‘heightening performance’ — assisting organizations, teams and individuals and teams increase their capabilities to maximize their effectiveness. Known for ‘connecting the dots’ and breaking down ‘stove-pipe thinking’, Pam has extensive knowledge in how to develop talent for organization growth and grow service-oriented cultures. She excels in the areas of strategic planning, leadership development, brand standards, working in franchise environments, change management, communication strategies, employee engagement and retention, executive coaching and presentation skills. An articulate presenter and facilitator herself, she brings a unique blend of extensive international experience, diplomatic exposure, strategic vision and the ability to make things happen in changing environments. Pam most recently served as the Vice President and Strategic Client Partner for the American Red Cross where she led the national re-organization of Humanitarian Services. Prior, she served 20+ years with Marriott International with 11 of those dedicated to business in over 65 countries where she served as Vice President of International Training, Organizational Development and Internal Communications. Towers Perrin and Kaiser Permanente both provided diverse experience in her professional background. 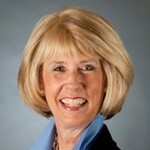 Since starting Crescendo, she has conducted customized leadership development workshops, designed growth strategies for the expansion of a global education program supporting at-risk young people in 18 countries, worked with universities and their undergraduate hospitality management programs and conducted executive coaching. Pam is a graduate of California State Polytechnic University, Pomona where she obtained her Master of Science in Business Administration, her Bachelors of Science in Business Administration and her secondary teaching credential. She is also a graduate of the Advanced Executive Coaching Program at the University of Maryland. Pam is on the Board of Advisors for the Collins College of Hospitality Management, California State Polytechnic University, Pomona. She is also a council member and family advisory member for Johns Hopkins Hospital, and is affiliated with the Society for Human Resource Management.